Extreme off-roaders will appreciate the great ride and handling that this mud tyre has on the highway. 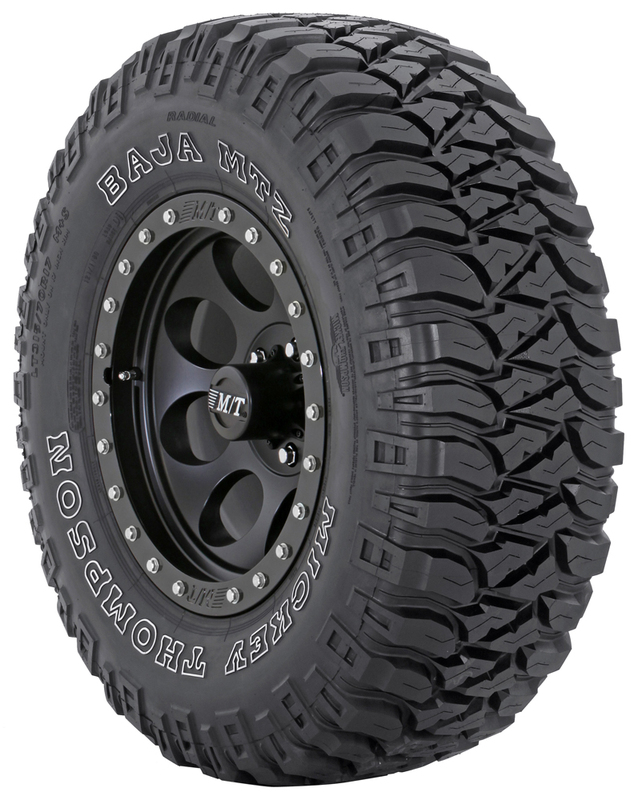 The Baja MTZ has Mickey Thompson’s PowerPly technology with a special angled third ply to give you high performance handling, better puncture resistance and improved towing capability. The load rating (represented by the numerical value) is related to the maximum weight that tyre can carry. So in this case 105 would refer to a load capacity of 925kg, with most passenger vehicle load indexes range from 62 to 126. In all instances the tyres load index must meet or exceed the value displayed on the vehicles placard. The speed category symbol, for example 'S', indicates the maximum speed at which the tyre can carry a load corresponding to its load index. So in this case, 'S' would refer to a maximum speed of 180km/hour. See the chart below for a full list of speed symbols and their applicable values.